Visual Lure was recently contracted to upgrade a logo and design a two page spread/ad for T. Free Photography, a very talented photographer based out of Omaha, Nebraska. 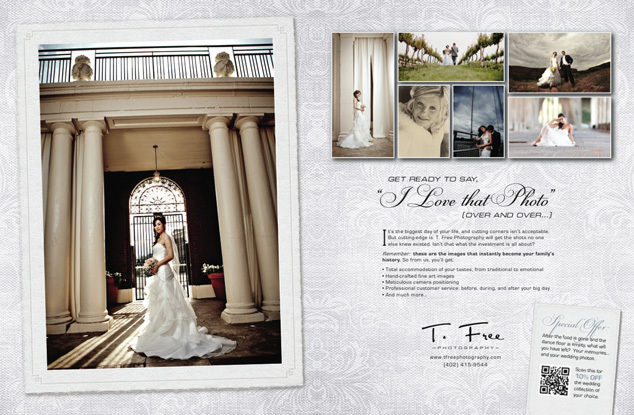 The ad will be featured in Nebraska Wedding Day Magazine. We designed two initial ads that the client wasn’t feeling, but after receiving some direction and feedback, we hit the mark pretty close with our third design option. We are still in the process of tweaking the ad, but below is a sneak peek at where we are. Check back soon to see the final ad. 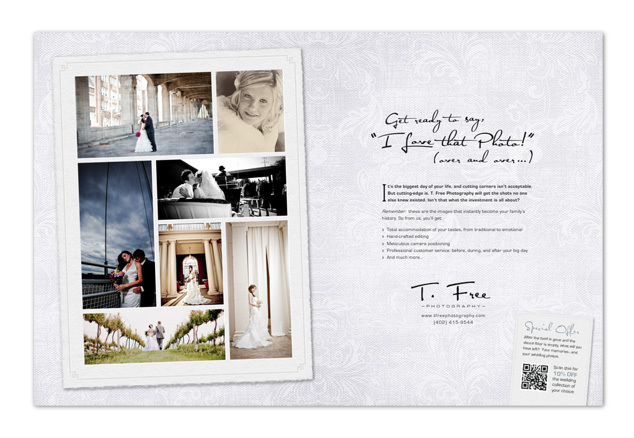 Check out their website here: www.tfreephotography.com.